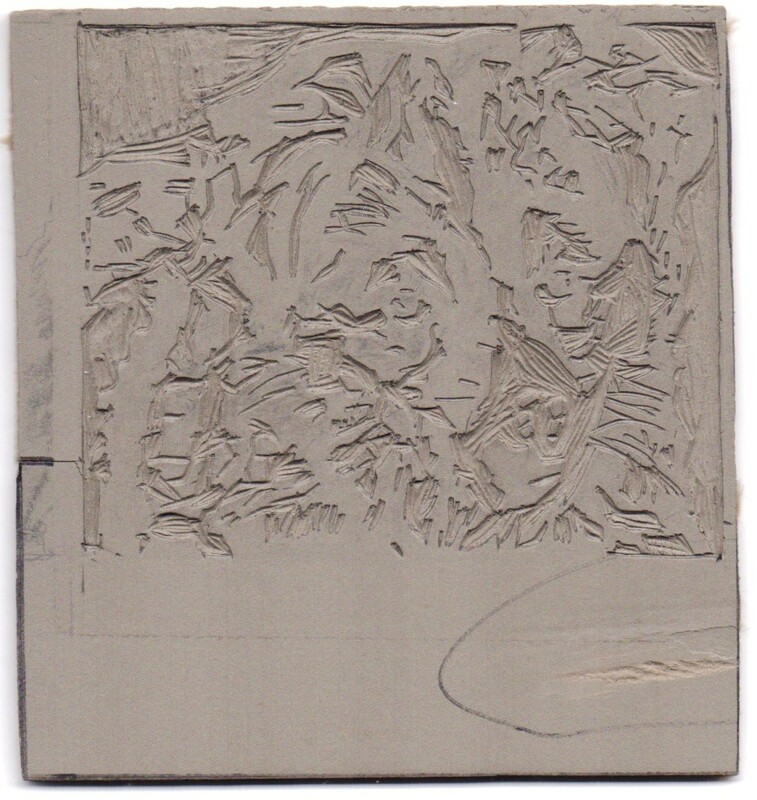 I carved the linoleum plate a little at a time over several days. This is the first time I’ve tried carving linoleum. I found it to be somewhat easier to cut than the soft rubber because being firmer it is easier to control the blade. I warmed the plate before carving to soften it up because it is too stiff when it is cold. The edges of the cut linoleum are sharper and cleaner than the soft rubber. It is easier to ink. So, the prints are more consistent. 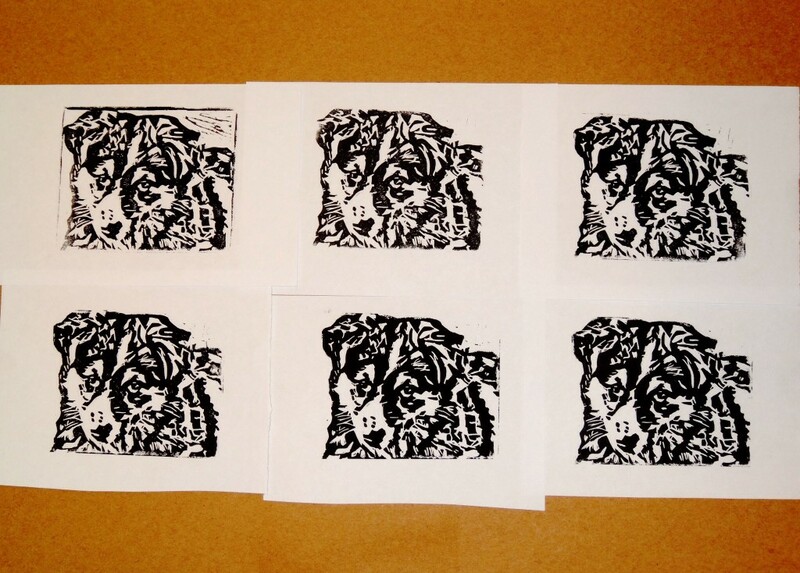 I did a short run edition of 6 prints on inkjet paper just to test the plate. Battleship gray linoleum plate, Sax Arts & Crafts black block printing ink on inkjet paper. 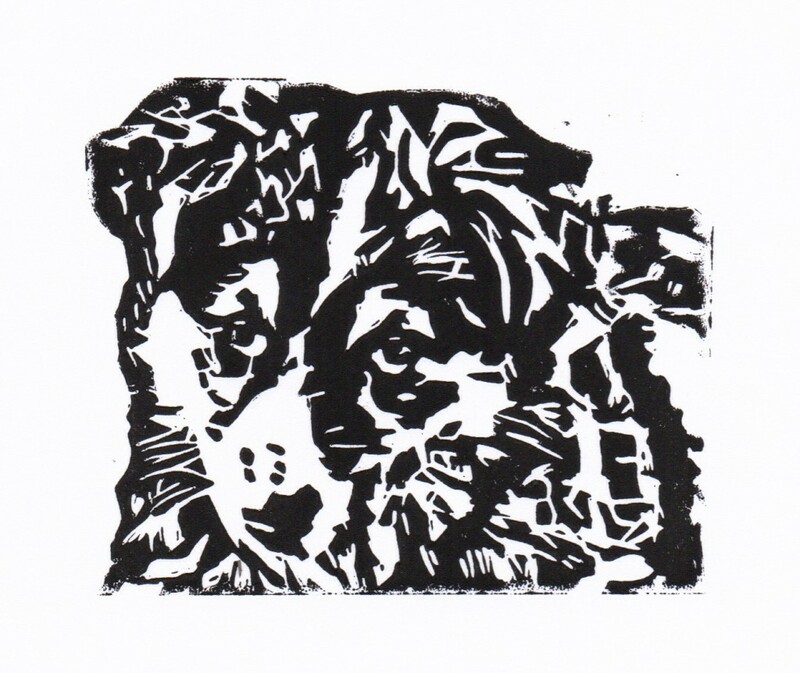 Image is 3.5×3 inches (9×7.5 cm).